Cacti and succulents are seriously trending right now. Their astounding variety and elegant architectural forms are calling us in droves to the ‘green’ side, including those of us who, err, don’t exactly have a case of the green thumb. These gorgeous plants aren’t just a pretty face, though, they’re dry-hardy, low-maintenance and, very easy to grow—music to our ears! Lack of basic knowledge, for a start(anyone remember taking ‘gardening’ class at high school?). But, there is a lot of dodgy information out there too, so let’s start by dispelling some of these myths. 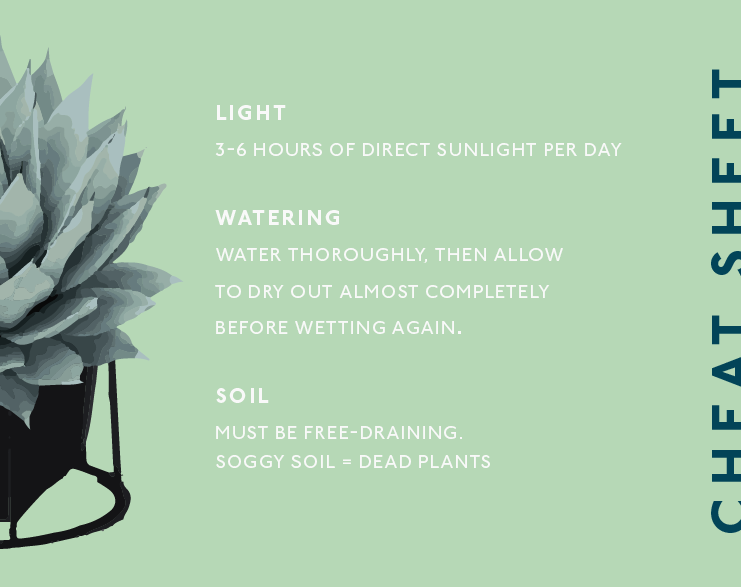 We’ve picked the brains of professional green-thumb Greg Maguire from Oxley Nursery to bring you all you need to know to keep your succulent or cacti alive.